Just wanted to post a little about my latest and greatest project. 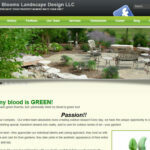 You can see it at http://beautifulbloomslandscape.com/ . I really love the way the site turned out. The old site lacked all of the cool flash effects as well as the color. 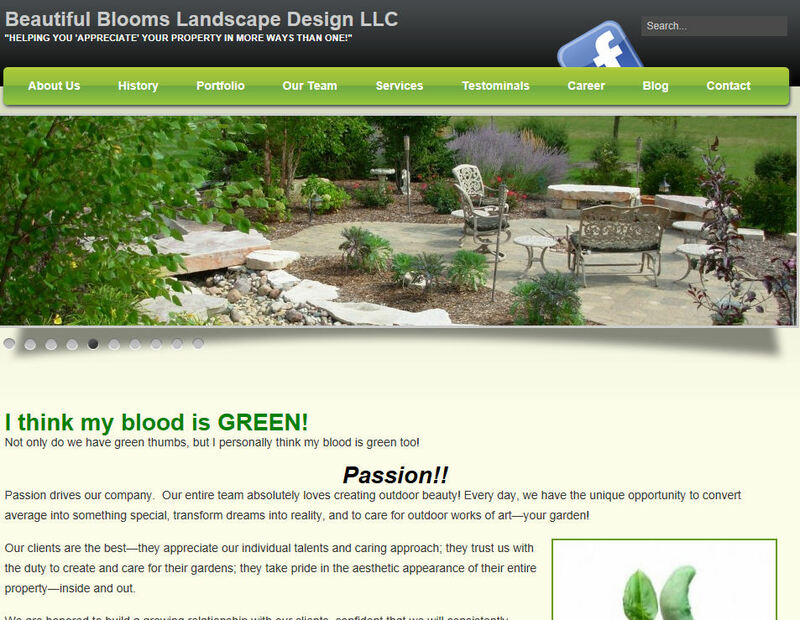 The old site was black and did not convey the green and color you would want for a landscaping company. We used a bunch of different sliders also for this site so that we could show all of the beautiful pictures the owner took of her work. Then the last piece was a link to their Facebook page. I searched around and came up with a neat image that fit perfectly. Now the owner can update the site herself and show the world their Beautiful Blooms. This entry was posted in cat2 on May 2, 2012 by admin.